Why can’t synthetic nitrogen fertilizer be used by certified organic farms if it’s used on conventional/industrial farms? Isn’t fertilizer all the same – why does it matter whether I use synthetic nitrogen fertilizer or compost in my garden? This article is an attempt to address those questions by providing the latest soil science research combined with our many years of personal experience doing no-till organic gardening and studying large-scale no-till organic farming, agroecology, and permaculture. Also, if you hear these questions from someone, you can go through the 5 points below or simply share a link to this article! Over the years, we’ve grown over 350 species of edible plants using no-till, organic methods that don’t require fertilizer or pesticide use. We’ve learned quite a lot on that journey, and we feel compelled to share that knowledge with other people. A quick warning before jumping in: the content of this article might scare the nitrogen-rich manure out of you. Not to worry… At the end, we’ll share some info to restore your optimism and help you to start creating & supporting solutions today. 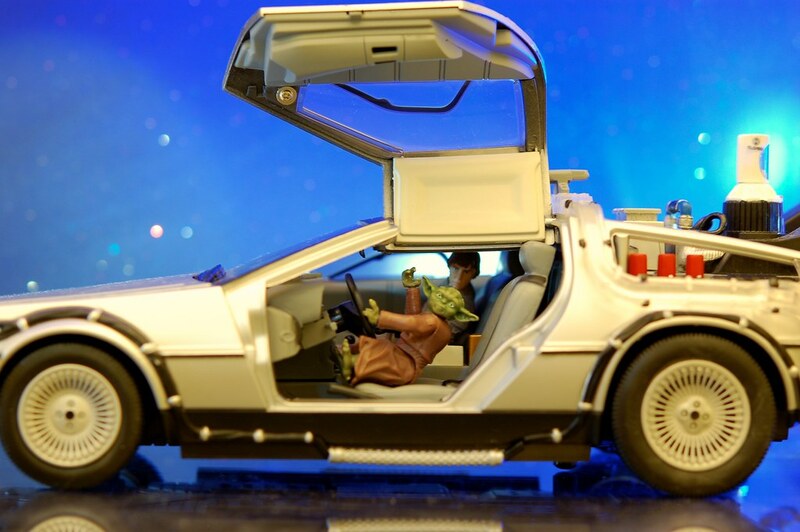 Also, some issues take longer than a tweet or a paragraph to explain – but come with us! You’re going to learn some amazing new things you never knew. First, a quick lesson on nitrogen. Nitrogen is everywhere: in our bodies, the plants and animals we eat, and the soil under our feet. But an enormous amount of the planet’s nitrogen isn’t down here, it’s up there – in the atmosphere. The air you breathe is about 78% nitrogen (N2), but atmospheric nitrogen is not in a form that plants can use: nitrate (NO3), and ammonium (NH4). Without nitrogen, plants could not live. Without plants, human civilization would not be possible. (Try going a few days without eating any plants or things that ate plants or things that ate the things that ate plants.) In short: no nitrogen, no people. 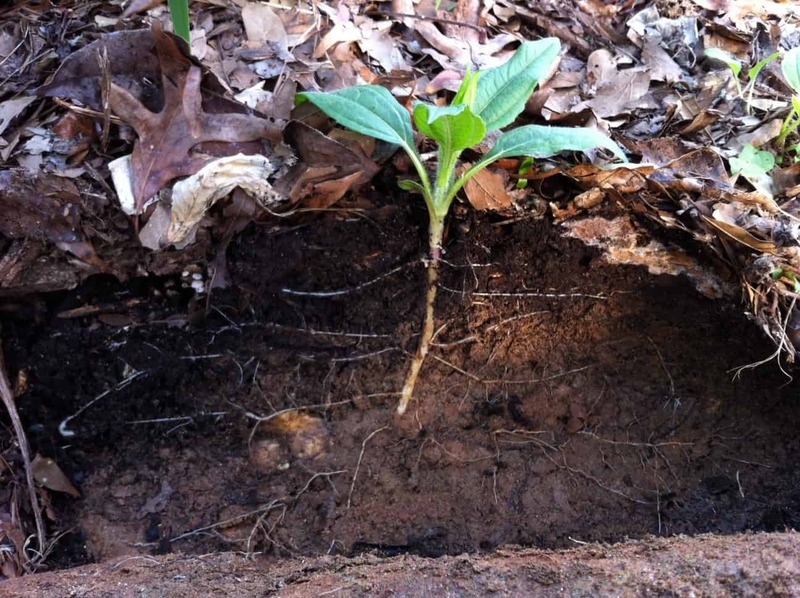 Regenerating biologically active soil at Tyrant Farms. The same stuff that allows plants to live (soil) allows us to live too. Interestingly, anthropologists have shown that agricultural societies throughout history have collapsed as a direct result of depleting their soil fertility (especially bioavailable nitrogen). Once the soil could no longer grow crops, food became scarce. Without food, the societies’ socio-political structures inevitably collapsed. Post-collapse, whoever was left alive would move on to areas with more fertile soil and start over. Or in some cases, civilizations would forestall this process by invading/conquering other lands, enslaving the indigenous populations, and sending their resources back home (example: Roman Empire). This is one of the reasons why advanced, modern societies do everything they can to make sure food is cheap and plentiful, even if the quality of that food is abysmal and we’re rapidly degrading our soil in the process. Hungry people become revolutionaries, a threat to the stability of the state. It’s cheap. It’s abundant. It’s convenient. But it’s not possible to remain healthy eating these types of foods, even when restricting calories. Unfortunately, we’ve been accomplishing the objective of feeding our growing global population largely through increasing the use of synthetic nitrogen fertilizer and other industrial farming methods that reward short-term results over long-term systemic impacts. As we’ll discuss, the compounding effects of this approach are catastrophic, and unless we change course or are able to colonize space in the next fifty years, there is nowhere left on this planet to migrate once our soils can no longer grow our food, clean our air, and clean our water. So what is “synthetic” nitrogen fertilizer? And how does nitrogen get from the atmosphere into the soil so plants can access it? Atmospheric Fixation – There is enough energy in lightning strikes to break the N2 bond of the nitrogen in the atmosphere. The resulting nitrogen oxides are then dissolved in the rain and converted to plant-available nitrates. Yes, summer thunderstorms fertilize our gardens and farms. Biological Fixation – Microbes (certain types of bacteria and archae) in the soil and the ocean are able to convert atmospheric N2 into plant-available forms. Once the nitrogen is in a bioavailable form, it is cycled through the food chain via processes such as consumption (you eating a tomato), excretion (you flush quite a bit of nitrogen down your toilet each day), and decomposition (when you die–assuming you’re not embalmed in a metal box–you’ll be digested and recycled by various microorganisms). Some of this nitrogen is also respirated or volatilized back into the atmosphere. And the process repeats. Industrial Fixation – In 1909, the German chemist Fritz Haber (also the father of chemical warfare) figured out how to convert atmospheric nitrogen into ammonia (NH3) . (The formula: N2 + 3 H2 → 2 NH3) This process was ramped up for large scale production with the help of Carl Bosch. Today, the “synthetic nitrogen” fertilizer made from the “Haber-Bosch” process is a key component of industrial/conventional farming. As a result, about 80% of the nitrogen in your body is from synthetic nitrogen fertilizer (unless you eat certified organic food which prohibits the use of synthetic nitrogen fertilizer, in which case your nitrogen is sourced more from atmospheric and biological fixation). How the nitrogen cycle works in nature. *#4. Recently, Utah State University’s Dr. Seefeldt and team announced that they’ve created a new light/solar-driven process to convert dinitrogen into ammonia, so there are now technically four ways that nitrogen moves from atmosphere to soil. Nitrogen Is Nitrogen! Who Cares Where It Comes From! You might now be thinking: Why does it matter how the nitrogen is made? Does it make any difference to plants or anything else? Case closed! Synthetic nitrogen fertilizer is no different than other forms of nitrogen and there are no nutritional benefits to eating organic food. Let’s start with nutrition. In 2016, a meta-analyses of 263 peer reviewed research studies proved that organically-produced meat and dairy are significantly more nutritious than their conventionally produced counterparts. An interesting side note: During his career, Borlaug was also a fierce and vocal defender of the public use of DDT, believing it had no negative impact on human or environmental health. DDT was widely used in neighborhoods, parks, and farms in the US starting in 1945 before being banned by the EPA in 1972, which infuriated Borlaug. He blamed the ban on a “vicious, hysterical propaganda campaign” by environmentalists. Although studies did show harmful effects of DDT on wildlife, it wasn’t until 2007 (60 years later) that scientists were finally able to pinpoint how/when DDT caused cancer in humans. So according to the science of his day, Borlaug was right… until scientists later found out where to look to prove that he was wrong. As for Borlaug’s claim about synthetic nitrogen fertilizer? Well, let’s dig a little deeper, shall we? 1. What the Frack? Synthetic Nitrogen Fertilizer Comes From Where? In the short and long-term, is fracking dangerous, perfectly safe, or somewhere in between? We’ll let you decide. Regardless, the broader point is that the process of making synthetic nitrogen fertilizer is dependent upon continued fossil fuel extraction, which is increasingly dependent upon fracking. 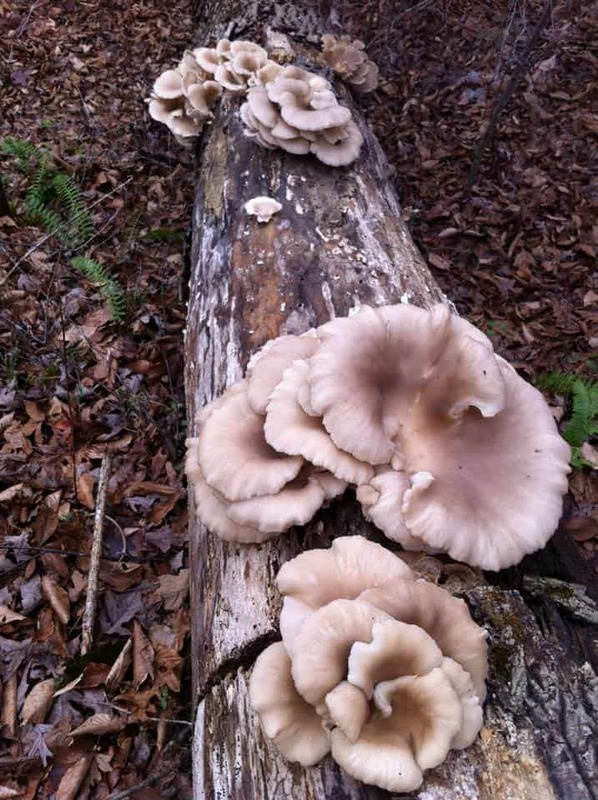 We inoculate logs with edible fungi, like these oyster mushrooms (Pleurotus ostreatus). Oyster mushrooms are a type of white rot fungi, one of few organisms on earth that can digest lignin, the polymer that gives wood its structure. It’s a strange irony that we’re digging up coal and petroleum deposition created from plants that lived during the Carboniferous Period to help fertilize our food crops 350 million years later. If lignin-eating white rot fungi had been around during the Carboniferous, the carbon from all those coniferous trees would have been decomposed instead of forming fossil fuels. Imagine how different the world would be if fossil fuels had never been a potential source of energy for us! Maybe Elon Musk would have come along in the 1700s instead of the 2000s. Oopsies. Deep Water Horizon, aka BP Oil Spill, in 2010. This was the largest accidental marine oil spill in the history of the petroleum industry to date. Nature is a giant biological recycling machine. A critically important part of that machine is soil. But what exactly is soil? The critters responsible for making the living system that we call soil. Without these organisms, you have dead dirt, not soil. Soil is a living system comprised of trillions of macro and microorganisms that works synergistically with plants to create a self-improving system. Run this statement by an old-fashioned conventional farmer or ag extension agent, and they’re likely to tell you it’s analogous to voodoo or that it doesn’t apply to high-yield staple food crop production. The interpretation that seems to still be pervasive in conventional ag science is that soil is a sterile, inert substance that requires increasing quantities of annual fertilizer and pesticide applications in order to grow a food plant. And the only metric of import is yield: how much edible plant material can be extracted from a piece of dirt, while socializing the costs of the negative externalities. This approach is comparable to viewing systemic human health as measurable only by an individual’s muscle mass. Under this paradigm, the person who takes anabolic steroids is the one who is deemed “healthiest” by the people who created the test. Just as the person taking steroids will surely encounter long-term health problems, so too are our soils increasingly experiencing systemic problems due to the continued belief in this paradigm. Here’s why: plants need virtually every element on the periodic table to grow, not just N-P-K. Interestingly, every soil type in the world contains everything a plant needs to grow (including nitrogen), which is why plants grow in and on every type of soil in the world without humans tending to them. It’s the systems of biological lifeforms in the soil that make nutrients available to the plants: fungi, bacteria, nematodes, arthropods, etc.. The plants, in turn, make life possible for those microbial organisms by feeding them carbohydrates made via photosynthesis and providing ideal habitat in their rhizospheres. What happens to the carbon (C) in the earth’s soils when we continuously add synthetic nitrogen (N) to it? Kiss your existing carbon and soil nutrients goodbye. Putting synthetic nitrogen fertilizer into your soil is like trying to become healthy by taking anabolic steroids. It’s short-term, reductionist thinking that’s unmoored from sound, modern, systems-oriented soil science. The Morrows Plots at University of Illinois Urbana-Champaign features the world’s oldest experimental site for studying the effects of different types of fertilizers on soil (research began in 1876). The Morrow Plots at University of Illinois at Urbana-Champaign. Researchers began measuring the effects of synthetic nitrogen fertilizer on soil health starting in 1967. What they’ve found in the decades since is shocking. If the implications had been fully understood, the research would have made the front page of every news station in the world. In short: the conventional thinking of conventional agriculture in regards to synthetic nitrogen fertilizer use is not just wrong, it’s dangerously wrong. Synthetic nitrogen fertilizer is rapidly depleting the world’s soil fertility, burning out its carbon stores, and causing an increase in fertilizer use in order to continue getting a yield from the same land. Interestingly, animal manures were tested on Morrow plots prior to the mid 1900s, and soil organic carbon (SOC) rose steadily from year to year during that time period–the opposite of what occurred when using synthetic nitrogen fertilizer. Healthy, living soil absorbs rainfall, retains/cycles the water, and eventually cleans the water on its way to our aquifers, creeks, rivers, and oceans. Unhealthy soil does the exact opposite. Have you heard about the massive algae blooms shutting down beaches and rivers in Florida? What about the 6,500 square mile “dead zone” where the Mississippi River empties into the Gulf of Mexico? Dead Zone in the Gulf of Mexico. These local “dead zones” are only two of over 400 dead zones in the world’s oceans where fish and other marine wildlife can not live. Their cause? Mostly synthetic nitrogen fertilizer and phosphorus runoff from farms and lawns. (Industrial animal feedlots and human sewage also contribute to the problem.) These fertilizers stimulate rapid growth of phytoplankton (“algal blooms”), which then use up all the oxygen in the water, making it impossible for other organisms to breathe. Eutrophication: this is what a river or lake looks like once fertilized by agricultural runoff. What happens when nitrates from synthetic nitrogen fertilizer get into our drinking water? High concentrations of nitrates in our acidic stomachs form nitrosoamines, which are carcinogenic. This means that people consuming these nitrates have an increased risk of developing certain types of cancer. Another major concern with high nitrate concentrations in drinking water is infant methemoglobinemia (a condition in which abnormal amounts of methemoglobin are produced resulting in the decreased availability of oxygen, potentially resulting in brain damage or death). Breastfed infants aren’t at risk, since the mother’s body filters out the nitrates. However, infants fed water-added baby formulas are at high risk if they live in a home on well water, especially if they live in agricultural areas (like the US grain belt). As we outlined earlier, the more synthetic nitrogen fertilizer we use on our soils, the less those soils will be able to retain and cycle nitrogen (and other nutrients), the more nitrogen we have to input to continue getting a crop yield, and the more pollution we cause. This is the very definition of a negative feedback loop. Even if you have good drinking water, you’re still paying a price. In 2011, the USDA Economic Research Service estimated that the cost of removing nitrates from U.S. drinking water at more than $4.8 billion per year. We have hundreds of species of predatory insects, like these ladybugs, at Tyrant Farms. Healthy communities of below and above ground organisms keep pests and pathogens from becoming a problem for our plants. No problem! If you’re a conventional farmer, you can just apply synthetic pesticides to take care of the insect and soil pathogen problems… which then leads to more and worse insect and soil pathogen problems and more than a few off-farm side effects for people and other species. Anybody want to play whack-a-mole? Joseph Fourier (1768-1830). His Greenhouse Effect theory wasn’t controversial in his day, but mentioning his theory is a great way to generate political discord in the United States in 2016. In 1824, the French mathematician and physicist Joseph Fourier discovered the “greenhouse effect.” This simply means that the radiation from earth’s atmosphere warms its surface above what the temperature would otherwise be without its atmosphere, and that certain types of gases (“greenhouse gases”) can heighten this radiative effect. List of greenhouse gases, their lifespan in the atmosphere, and their estimated contribution to global warming (contribution percentages are tweaked as more information is uncovered). The point here is not to debate the veracity of global warming, plate tectonics, special relativity, or other scientific theories. Rather, we want to help spread the word that the synthetic nitrogen fertilizer we make from fossil fuels is accelerating climate change largely because of the biological processes it triggers in the soil. How To Measure The Source of Nitrous Oxide In the Atmosphere? Climate scientists have long known that there was a sharp spike in N2O (nitrous oxide) emissions corresponding with the increased synthetic nitrogen fertilizer usage of the Green Revolution. But how to tell the difference between N2O produced by synthetic nitrogen fertilizer on a farm field vs. nitrous oxide produced via plant decomposition in a forest? (This is kind of important since nitrous oxide is a greenhouse gas with 300 times as much heat-trapping power as carbon dioxide.) Until 2012, we couldn’t. Annual layers of Antarctic ice deposition tell stories like pages in a book. The isotope ratios also revealed that fertilizer use has caused a shift in the way soil microbes produce N2O. The relative output of bacteria that produce N2O by nitrification grew from 13 to 23 percent worldwide, while the relative output of bacteria that produce N2O by denitrification – typically in the absence of oxygen – dropped from 87 to 77 percent. This is why some people refer to synthetic fertilizer companies as the “Exxons of Agriculture.” It’s difficult to say for certain how much synthetic nitrogen fertilizer is contributing to global warming because some parts of the equation are still unknown: how much greenhouse gas emissions are being triggered by the runoff into water and the resulting algal blooms? How much greenhouse gas is being released by the rapid degradation of the soil humus (soil’s long-term carbon stores)? Etc. There is more carbon in the earth’s soil than in the atmosphere and all plant life combined (2,500 billion tons of C in soil vs. 800 billion tons in atmosphere + lifeforms). The soil on our farms has lost somewhere between 50-70 percent of its carbon; even if you don’t care about global warming, the related loss of soil nutrients means the fruits and veggies you eat today have far less nutrition per calorie than the ones your parents and grandparents ate, e.g. you have to eat more calories to get the same nutrition. Thumbs up! Workers at a fertilizer factory fixing an ammonia leak. Now you know a little more about the global systems impacts of synthetic nitrogen fertilizer. And now you know why synthetic nitrogen fertilizer is NOT allowed in certified organic farm operations. Where does that leave us? Nope, we’re not going to predict the future, because nobody can possibly know what new technologies, understandings, geopolitical or geological events are going to shape it. Maybe robots will replace human labor in planting, maintaining, harvesting, and processing our crops. Maybe nanobots will replace insecticides and herbicides. Or maybe food production will become a new part of our “knowledge economy,” wherein the spaces we live, work, and play are no longer separated from the areas “out in the country” where food is produced using modern day slaves and technologies that rapidly degrade the earth’s resources while accelerating the mass extinction of other species. What we can say for certain is that the future of food production will not and can not look like current conventional agriculture. The negative externalities of just one part of that system–synthetic nitrogen fertilizer–is compounding and accelerating the interrelated problems of fossil fuel dependency, soil degradation, water pollution, human health, and global warming. Ignorance can no longer be used as an excuse for continuing down this path. We now know better. For policymakers and scientists who acknowledge these negative externalities but continue to promote the use of synthetic nitrogen fertilizer, the basic argument is this: yes, we know it’s bad, but if we don’t use it, we can’t feed a growing global population or we’ll have to convert more of earth’s surface to farmland. This is basically the same argument made for continuing to burn fossil fuels rather than supporting policies, economic incentives, and technologies that can hasten our transition to cleaner, better fuel sources. We have to keep doing this or we won’t be able to quickly fatten sick feedlot animals or have ethanol fuel to feed our combustion engine vehicles. And we’ll all starve to death if we stop subsidizing highly processed foods that contribute to 70% of the US population being obese, overweight, and chronically ill. This binary, fear-based argument also shows a profound lack of understanding and knowledge about alternative biological soil fertility and food production methods. Despite virtually zero public R&D support (that has benefited conventional ag for the better part of a century), there are high-yielding, innovative and ecologically regenerative farming methods already in use today that are producing yields on par with or better than conventional agriculture. Current research demonstrates that biologically diversified farming systems can meet global food needs sustainably and efficiently, as they outperform chemically managed monocultures across a wide range of globally important ecosystem services while producing sufficient yields and reducing resource waste throughout the food system. Research and development related to diversified systems, however, commands less than two percent of public agricultural research funding. We argue that this “knowledge gap” is at the crux of the “yield gap” that is often raised as the impediment to transitioning a greater share of global agriculture to diversified, agroecological production. If United States Department of Agriculture (USDA) research, education, and extension were to shift significantly toward agroecology and biologically diversified farming systems, the potential to address global resource challenges would be enormous. And they’re doing so without using any conventional fertilizers or pesticides and without causing the negative externalities associated with conventional agriculture. Ask yourself this: which solution set do you want to scale up to feed a global population of 10 billion people in 2050? Which solution set CAN be scaled up to feed 10 billion people? Your Plate – As much as possible, vote with your food dollars. Buy certified organic food. “Local food” doesn’t necessarily come with any added health or environmental benefits unless you know for certain what practices the local farmer you’re buying from is using. Your Yard – Instead of using synthetic nitrogen fertilizers and pesticides on your yard or garden, use biological fertilizers such as mulch (green or brown), compost, worm castings, and/or compost tea that boost soil microbial communities, build soil organic carbon, and cycle nutrients. Grow an organic garden (start small) so you can learn more about how ecosystems works while feeding yourself and your family healthy, delicious, sun-ripened produce. We’re happy to walk you down that path! Your Vote – Your local, state, and national representatives shape the public policies that shape the world. Find out what food/ag policies they support and contact them to let them know that you care about regenerative/organic food production. You can change markets by what you buy. You can change public policy by how you vote. You can change the world by what you think and do. We hope this article has helped inform your thinking on synthetic nitrogen fertilizer and the many benefits of organic, permaculture, and agroecological farming methods. This article is misleading and. Largely wrong. Organic farms use lots of synthetic mix ally fixed nitrogen. The farms that raise livestock that they get manure from use feeds that were produced using synthetically fixed N. Passing through animals doesn’t change that. It just makes it smell worse. You are wrong about the nutrition as well. See the Standord study and others. Try to develop some integrity, please. Organic farms are only allowed to use raw manure in very specific circumstances as outlined by the USDA’s National Organic Program (NOP) guidelines. You can read about those guidelines here if you’re interested: https://www.ams.usda.gov/sites/default/files/media/Manure%20in%20Organic%20Production%20Systems_FINAL.pdf. The restrictions on manure use on conventional farms are virtually non-existent by comparison. Also, conventional farms can and often do use human sewage sludge/biosolids on their crops, which are explicitly prohibited for use on organic farms. As of 2014, the percentage of organic farms using “green or animal manures” was 67%. As you probably know, “green manures” are cover crops, not animal waste, so on an organic farm, those cover crops grown to boost soil fertility would not use any synthetic nitrogen fertilizer. It’s not possible to determine what percentage of these farms are using: a) cover crops only, b) animal manures only, or c) both cover crops and animal manures. However, it’s quite clear that many organic farms are not using any animal manures (thus no downcycled synthetic nitrogen fertilizer). It’s also important to note that 50% of organic farms are using organic mulch/compost and 41% are using no-till or minimum till cropping. There are drastic differences in soil health resulting from applying synthetic nitrogen fertilizer versus manure versus composted manure versus cover crops to your soil. Numerous studies show this, the longest ongoing ones being from the Morrows Plots at University of Illinois Urbana-Champaign. Rather than depleting soil organic carbon/fertility as synthetic nitrogen fertilizer does, manures, compost, and cover crops all improve fertility and carbon reservoirs when properly used–especially so in the case of compost and cover crops. Soil microbiologist Dr. Elaine Ingham rightfully attributes the benefits of compost use to the introduction of massive quantities of beneficial soil microbes created during the hot composting process. Those symbiont microbes mine nutrition and water from the soil for the plants in exchange for carbohydrates the plants produce through photosynthesis. In short, organic farms are not dependent on manures from conventionally-produced animals fed feed produced using synthetic nitrogen fertilizer. More accurately, some organic farms may be using those manures in accordance with strict NOP guidelines or as the primary nitrogen source in their hot composting processes. 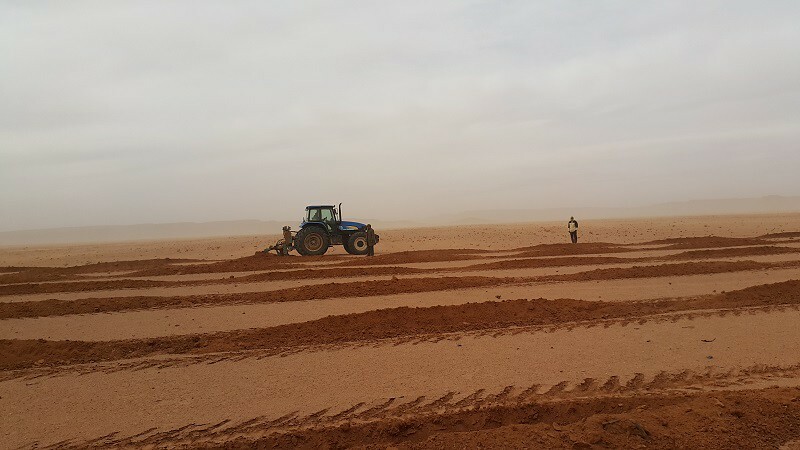 Either way, the results are farm soils on organic farms that tend to have much higher biological soil fertility and soil organic matter (carbon). That’s better for the farmer, better for the environment, and better for the end consumer who gets a more nutrient-rich product. I’m sorry if these findings are challenging to your current beliefs, but I’d suggest you keep an open mind, dig further into the research literature, and perhaps visit some well-run organic/agroecological farms in your area to see these processes and results in action firsthand. Best wishes.